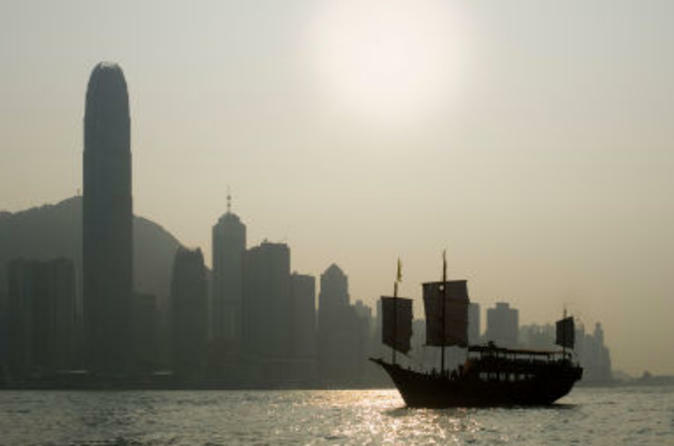 Whether this is your first visit to Hong Kong or you’re returning to refresh old memories, this comprehensive orientation is a great way to get to know Hong Kong Island, its history and its famous landmarks. During your half-day tour, a knowledgeable guide takes you to see multiple Hong Kong highlights in this ever-changing locale, including Victoria Peak, Aberdeen fishing village and Stanley Market. Enjoy informative commentary and included round-trip transport from your hotel. 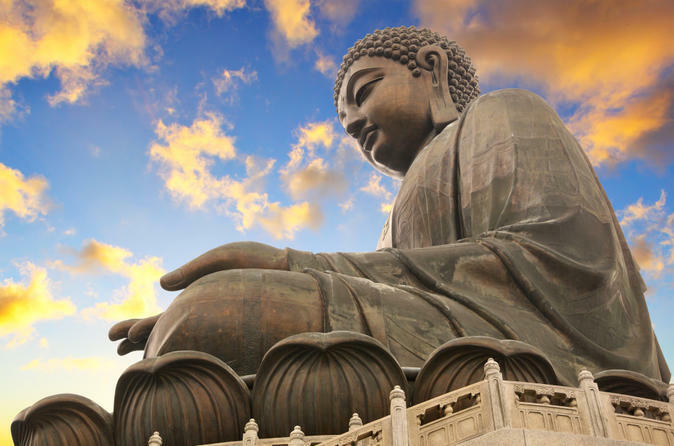 Embark on a tour of Lantau Island in Hong Kong and visit the Giant Buddha Exhibition Hall at Po Lin (Precious Lotus) Monastery. On this Big Buddha tour with a professional guide, you’ll discover pristine beaches, traditional fishing villages, lush valleys, soaring mountains and spiritual enlightenment. 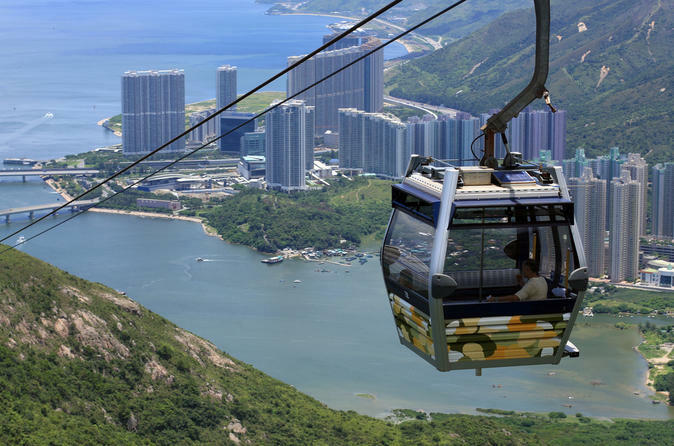 Ride a cable car from Tung Chung with spectacular views of Lantau Island, Ngong Ping Plateau and the South China Sea. 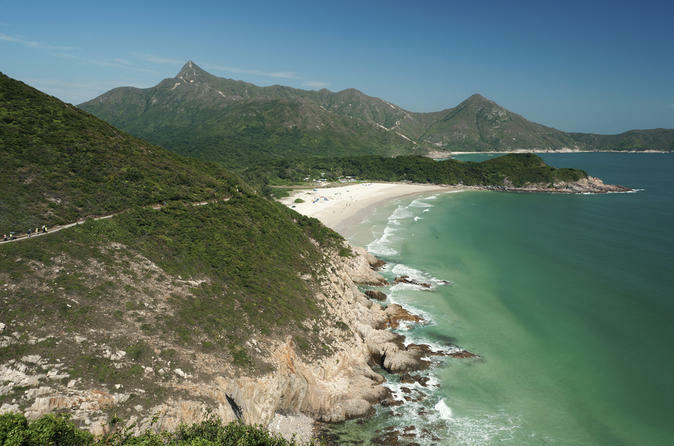 Your Lantau Island tour includes round-trip hotel transport, one-way ferry and lunch. Please note: Cable car will not operate from Nov 14th -21st, 2016 sue to scheduled maintenance, you will be provided coach transfer from Nong Ping Village down to Tung Chung during this period. Complete your visit to Hong Kong with a day trip to Macau, once the oldest European settlement in the Orient. Sit back and relax as you sail across the sea from Hong Kong to Macau on a jetfoil or catamaran. 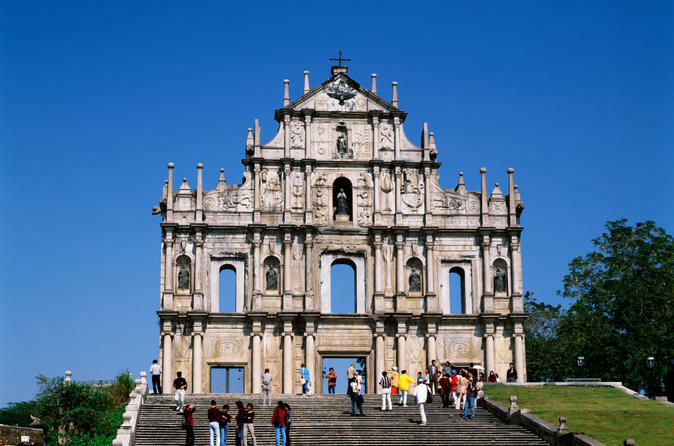 Explore Macau's historical sites, such as the UNESCO World Heritage-listed Ruins of St Paul and A-Ma Temple (Macau Barra), and visit modern establishments like the Macau Tower with your expert guide. With lunch and round-trip hotel transport included, this full-day sightseeing tour is not to be missed! Please note: Due to tight schedule, this product is not recommended to travelers who need to leave Hong Kong on the same day. See Hong Kong’s highlights on this hop-on hop-off tour! Hop off at any of the 22 stops to explore attractions by foot with your provided map. 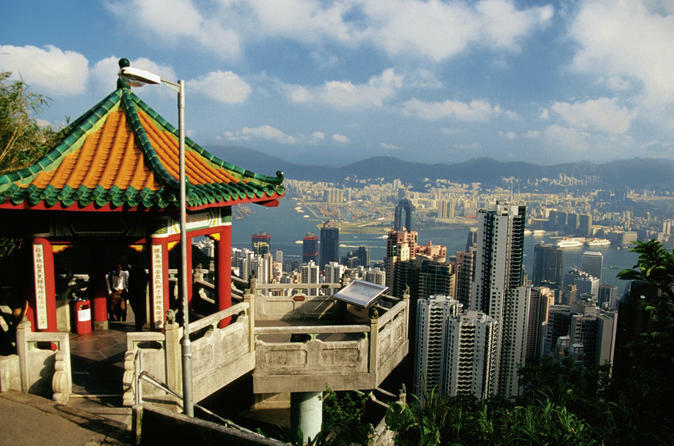 Visit Man Mo Temple, Stanley Market, Aberdeen, the Hong Kong Cultural Centre and more. Your 24- or 48-hour ticket is valid for all three routes, giving you the flexibility to see what you want to see. 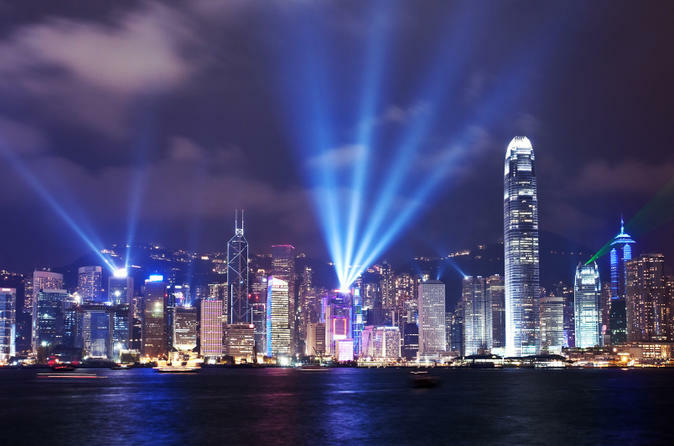 Enjoy a sampan ride and a ferry ride across Victoria Harbour, and check out the ‘Symphony of Lights’ on a 1-hour panoramic night bus tour of Kowloon (optional). 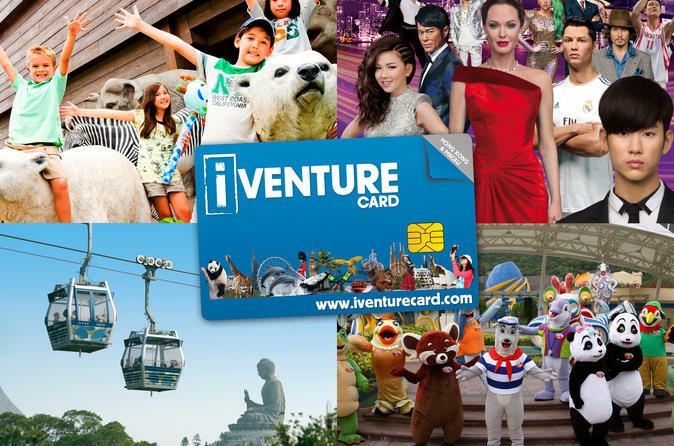 Also included is your choice of a Peak Tram Sky Pass or admission to the Sky100 Hong Kong Observation Deck. Please note: Avenue of the Stars will be closed for major repair and renovation from October 2015 until 2018. Visit mainland China by catamaran on a full-day trip from Hong Kong and see some of China's iconic sights with an informative guide. 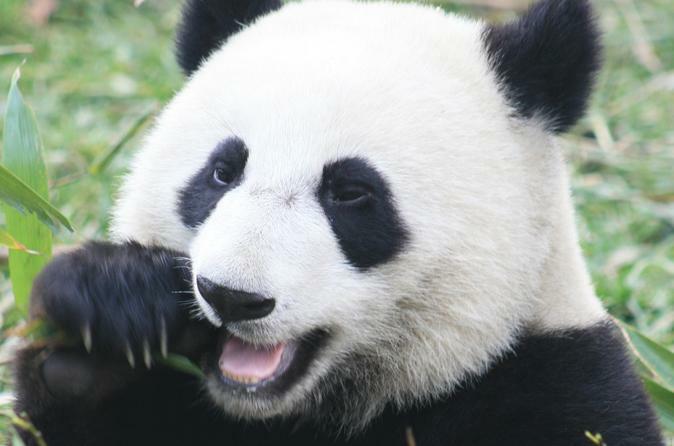 Meet an adorable panda at Shenzhen Safari Park, discover Qin Dynasty terracotta warriors and their horses, and tour the metropolitan city of Guangzhou, formerly known as Canton. You’ll find everything from towering skyscrapers to ancient temples in China’s third largest city — a former trading hub located on the Pearl River — before returning by express train. 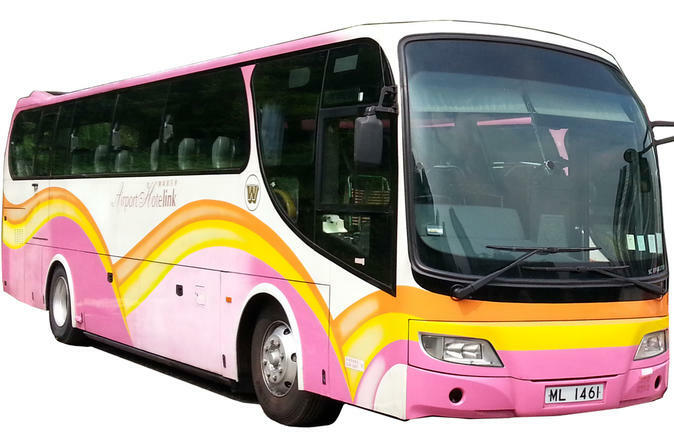 Lunch, coach transport and a group visa are all included! 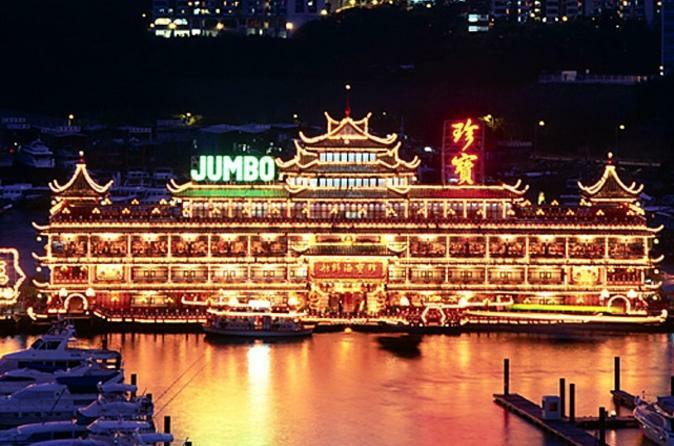 Experience the magic of Hong Kong at night with an evening cruise on Hong Kong's dazzling Victoria Harbour, followed by an 8-course Chinese banquet at Aberdeen's famous Jumbo Floating Restaurant. You’ll enjoy postcard-worthy views as you sip unlimited drinks from the open bar aboard an enchanting Chinese-style junk, and take in the palatial atmosphere of the Jumbo while dining on a sumptuous meal. End your evening on top of the world as you ascend halfway up Victoria Peak to the Mid-Levels lookout for panoramic views of Hong Kong’s shimmering skyline. 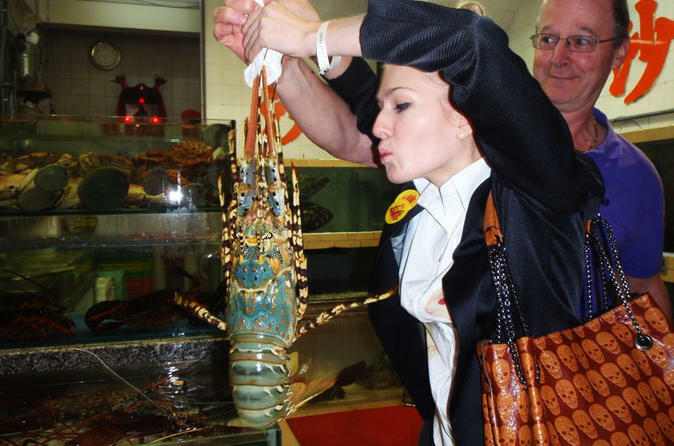 Combine sightseeing and gourmet seafood on your evening out in Hong Kong. First, you'll take an evening cruise on Hong Kong's Victoria Harbour aboard a traditional Chinese tour boat, then you'll sail to Lei Yue Mun Seafood Village for a sumptuous Chinese Dinner at the renowned Hoi Tin Garden Restaurant. 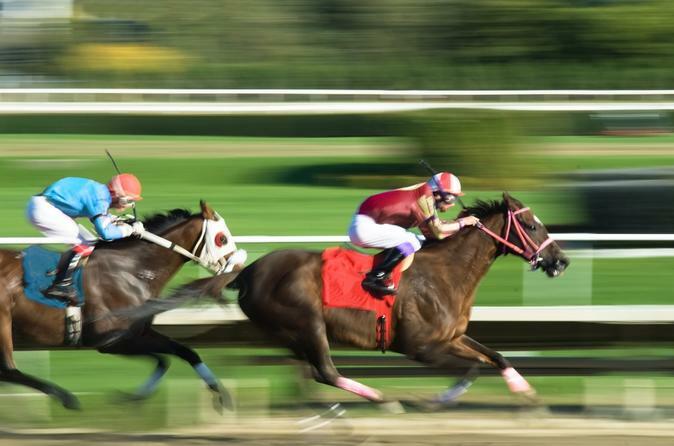 Experience the fever-pitch atmosphere of Hong Kong's racing scene by taking in either a daytime or evening horse racing tour! Offered exclusively for overseas visitors only, this tour gives you access to the Members' Enclosure, international buffet with unlimited serving of house wines, standard pouring brand, house beers, orange juice and soft drinks inside the Visitors' Box, and a tour of the parade ring and winning post. Discover Hong Kong's rural beauty away from the bustling streets, neon lights and the skyscrapers. 'The Land Between' tour will allow you to see another side of Hong Kong and it stands both as a gentle reminder of Hong Kong's past as well as a symbol of its hopes and dreams for the future. Lunch as well as coach transportation are included. 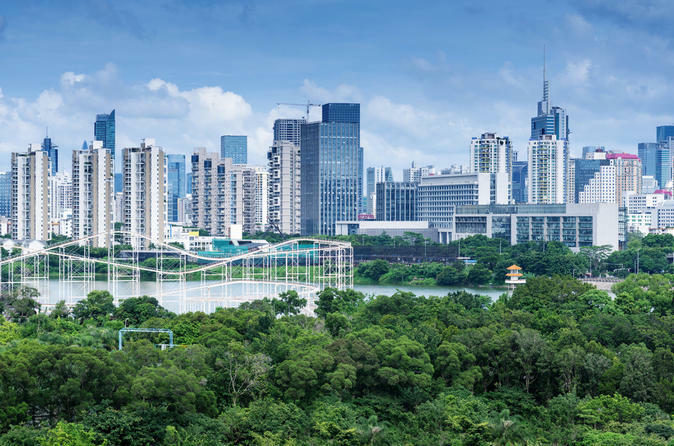 Discover the vibrant city of Shenzhen on your full-day trip by rail from Hong Kong. With a local guide you’ll sightsee Lichi Park and Meridian View Centre, and then have free time to shop to your heart’s content. See the incredible life-size Terracotta Warriors in a Chinese Arts and Craft Center. Enjoy a shopping extravaganza at the Lo Wu Commercial Shopping Mall before returning by train. Get easy access to nearly all of Hong Kong’s public transportation systems by booking this travel pass in advance of your trip. 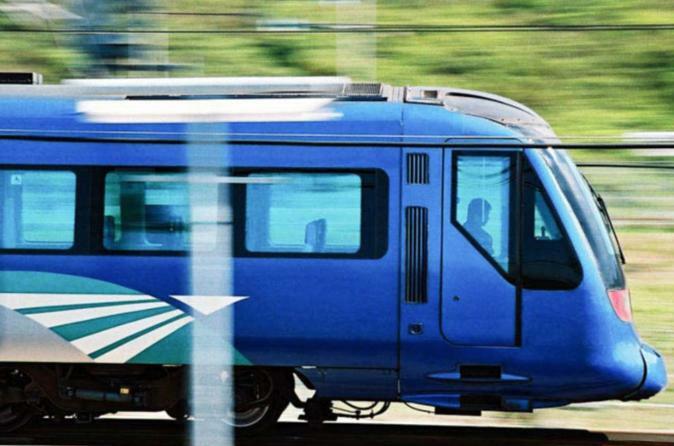 You’ll get two rides on the Airport Express and a 1-day pass for the MTR (Mass Transit Railway). Upgrade to include a round-trip ride on the Ngong Ping Cable Car over Lantau Island and a 3-day MTR pass to fit your schedule! Plus, by purchasing now, you’ll be able to pick up all your passes at the airport as soon as you arrive in Hong Kong, saving you precious time in individual ticket lines. This is the ultimate way to get around Hong Kong to see the attractions that you want to see. 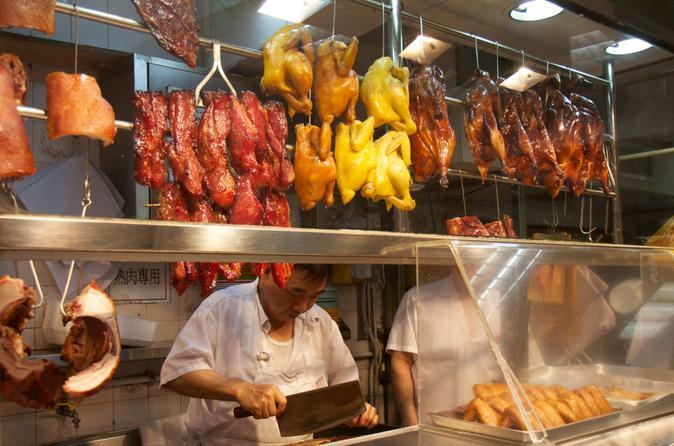 Explore the best of Hong Kong's lively markets on this half-day walking tour. 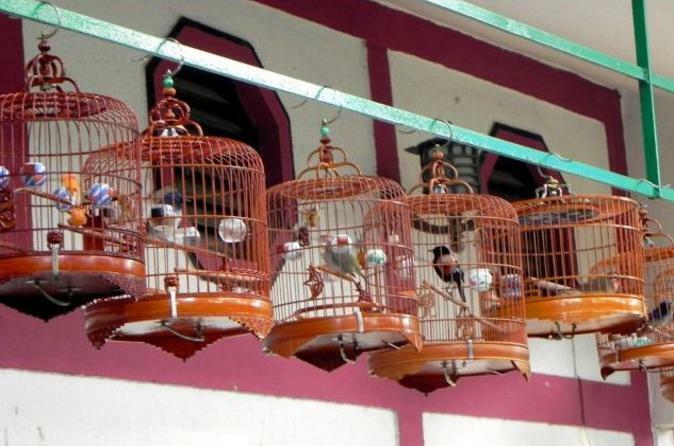 From the fragrant Flower Market to the sonorous Yuen Po Street Bird Garden, this small-group tour, with a maximum of 12 participants, is an adventurous experience for all. 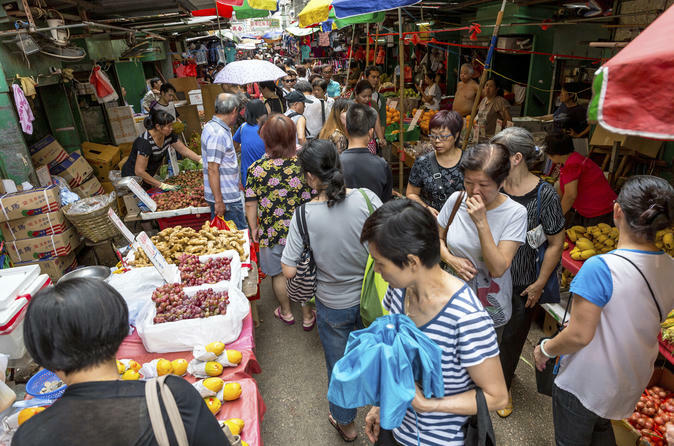 Soak in the excitement of Hong Kong’s market scene and test your bargaining skills! 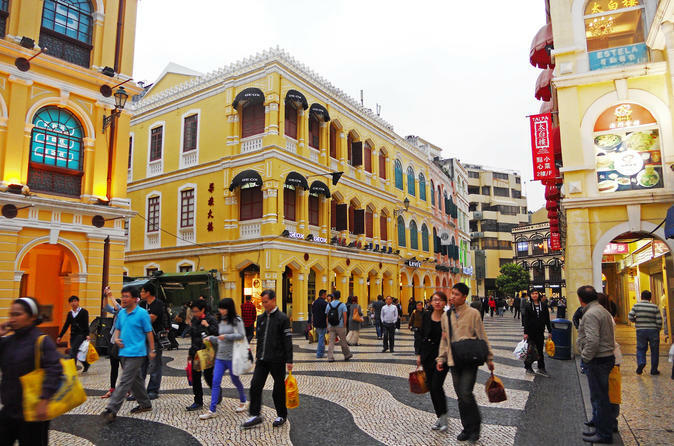 Quite different from Hong Kong, Macau’s economy is heavily dependent on gambling and tourism. 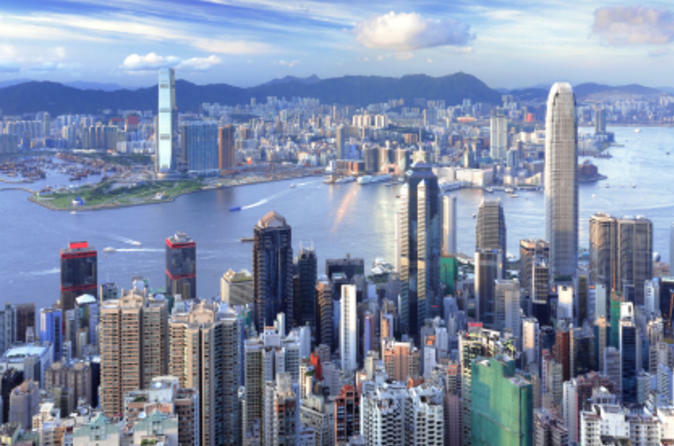 The tour combines both historical sites and modern attractions.This trip for offers you an opportunity to see the one of the world's richest cities within one day from Hong Kong. 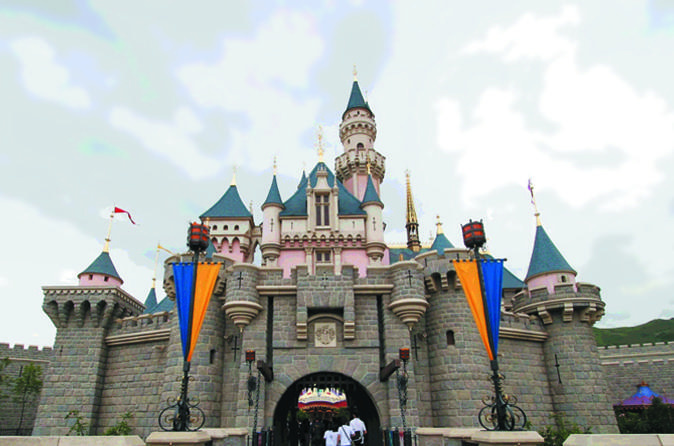 Enjoy a full day to experience the huge variety of attractions at Ocean Park Hong Kong. 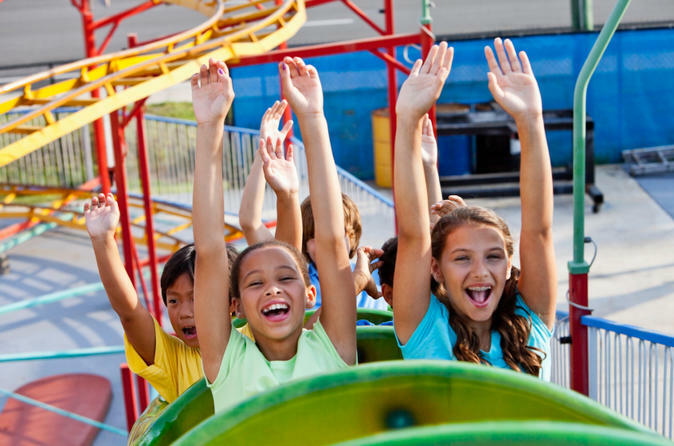 See marine animals such as sea lions, dolphins, penguins and walruses; admire super cute giant pandas and other land critters; hop on amusement park rides and get fantastic photo ops over the ocean from a cable car or giant outdoor escalator. A great excursion for all ages, this convenient tour includes an experienced guide, round-trip transportation by air-conditioned coach, admission ticket, and pickup and drop-off from centrally located hotels. Discover Hong Kong’s colonial past and cosmopolitan present on this walking tour through the city streets. From the bustling pace of Central (the business district) to the serenity of Hong Kong Park, you’ll learn all about Hong Kong’s rich history. On this small-group walking tour, with a maximum of 12 passengers, your guide will take you to visit Possession Point, the Fringe Club and the Blooming Bauhinia sculpture. The Airport Hotel Shuttle Bus provide door-to-door services between Hong Kong International Airport and all major designated downtown hotels.Travel efficiently from Hong Kong International Airport (HKG) to Hong Kong Island or Kowloon downtown hotels in a comfortable and air-conditioned shared vehicle with a professional driver. Enjoy a fun-filled day of Hong Kong sightseeing with this one-day travel pass and tour combo that allows you to explore the city with ease. You’ll get one day of unlimited use on the MTR (Mass Transit Railway) and a round-trip ride on the Ngong Ping Cable Car standard cabin over Lantau Island. 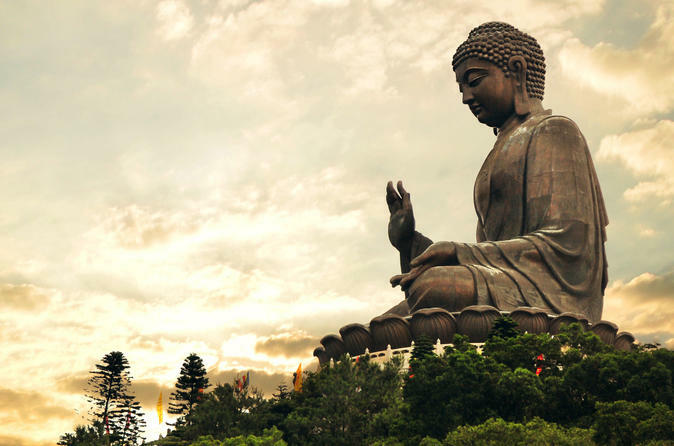 Plus, enjoy a walking tour a Big Buddha walking tour on Lantau Island, where you’ll see the island’s top sights like Tai O fishing village and, of course, the Big Buddha (also known as the Giant Buddha or Tian Tan Buddha). 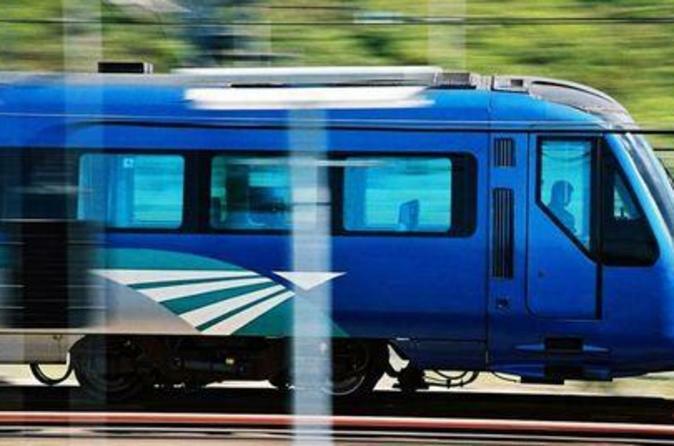 You also have a choice of upgrading to include the glass-bottomed crystal cabin of the Ngong Ping Cable Car or a 3-day MTR pass with round-trip Airport Express tickets. By booking now, you can collect all your passes and tickets at the airport as soon as you arrive in Hong Kong, saving you precious time in individual ticket lines. 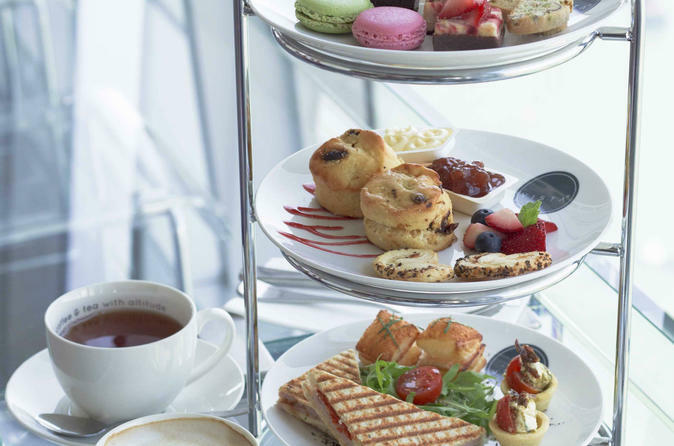 Savor sandwiches and sweet treats along with outstanding panoramic views while you enjoy English high tea service from the sky100 Hong Kong Observation Deck. 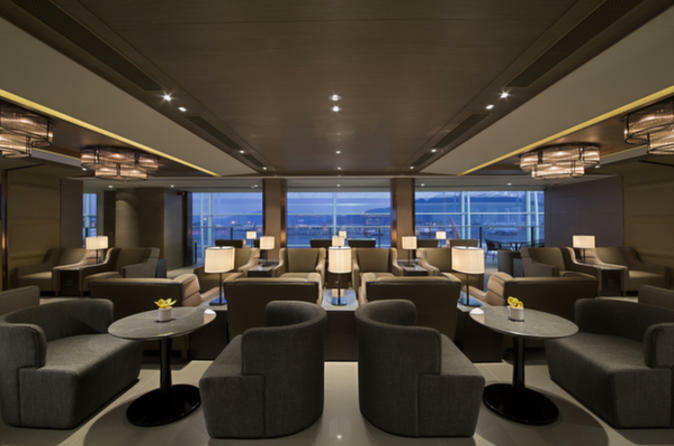 Ride a high-speed double-deck elevator to the 100th floor of Hong Kong’s tallest building and feast your eyes on the vista below as you sip. Your English tea set at [email protected] cafe comes with coffee or tea for two along with delectable nibbles such as French macaroons and fresh pastries. Good news! Sky100 Hong Kong Observation Deck will be extending its operating hour till 12 mid-night on every Saturday until August 27th, 2016. 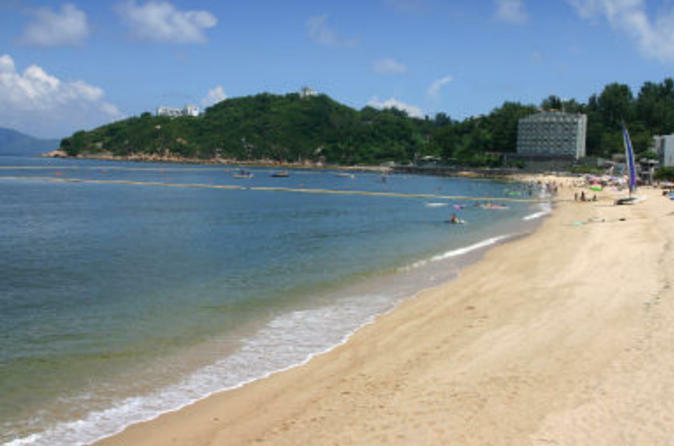 Cheung Chau Island, also known as Long Island, is only a short ferry ride from Hong Kong. 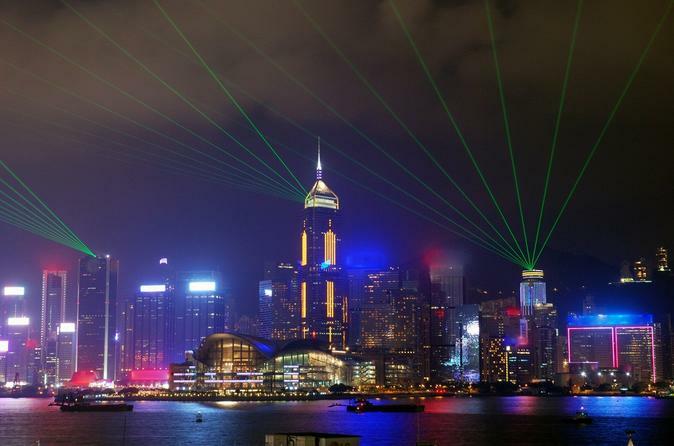 Marvel at spectacular 360-degree views of Hong Kong’s world-renowned skyline and Victoria Harbour! 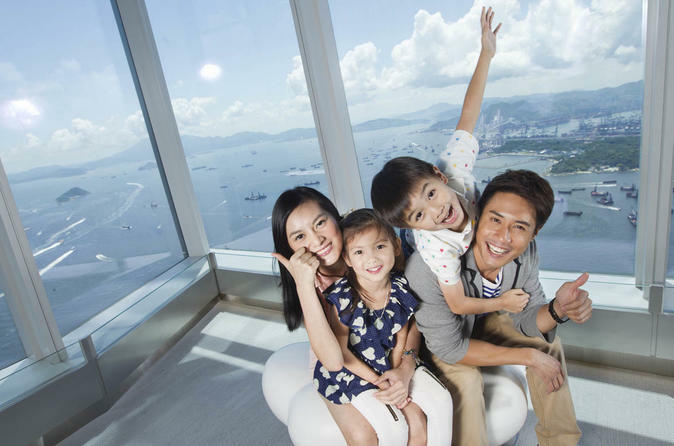 This admission ticket grants you access to the sky100 Hong Kong Observation Deck, located in the International Commerce Centre (ICC), the tallest building in Hong Kong. Optional upgrades feature a relaxing tea break or a delightful dim sum set. Take a high-speed double-deck elevator to the 100th floor in just 60 seconds for awesome panoramic vistas of the city below. It's the ultimate sky-high experience! 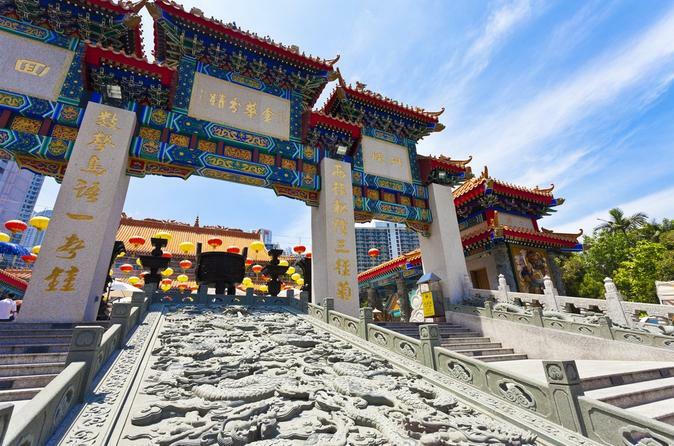 On this small-group walking tour, immerse yourself in Hong Kong’s diverse history and culture by journeying through both old and new Hong Kong. With your friendly and knowledgeable English-speaking guide, explore small, traditional markets and antique shops before marveling at the bustling commercial and industrial hubs dotted with towering skyscrapers. As you walk through the city, learn about the intermingling of old conventions and new institutions that form Hong Kong’s fascinating culture. 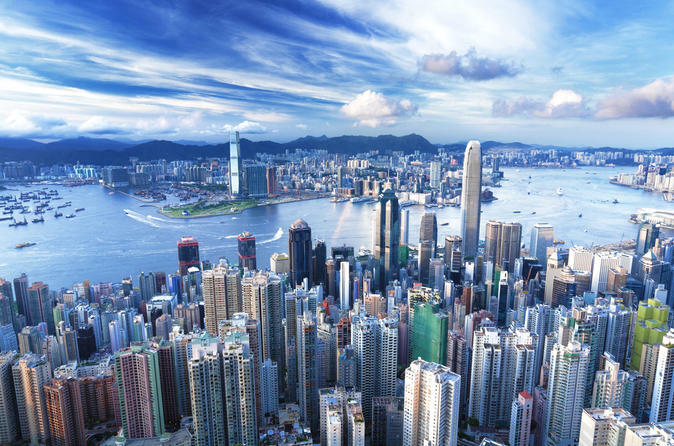 After your cruise ship docks in the port of Hong Kong, enjoy a full-day shore excursion to the must-see sites of Hong Kong Island and Kowloon. 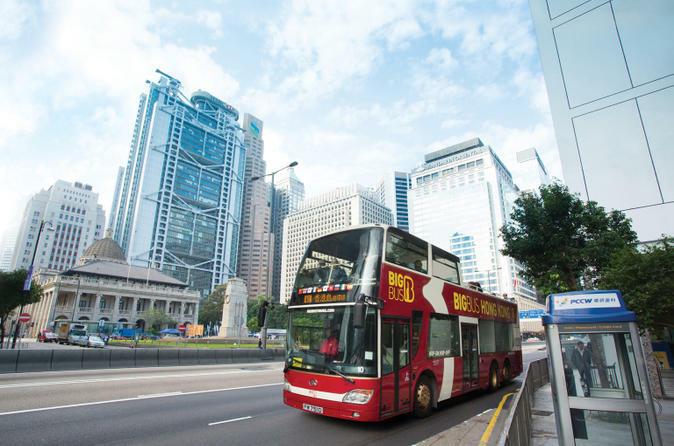 Your informative guide will take you to Hong Kong’s famous landmarks on this comprehensive sightseeing tour, a perfect introduction for first-time visitors. Enjoy a Star Ferry ride across Victoria Harbour, a sampan ride on Aberdeen Harbour and a tram ride to Victoria Peak, plus free time to browse for souvenirs at Stanley Market and the Ladies Street Market in the Mongkok District. 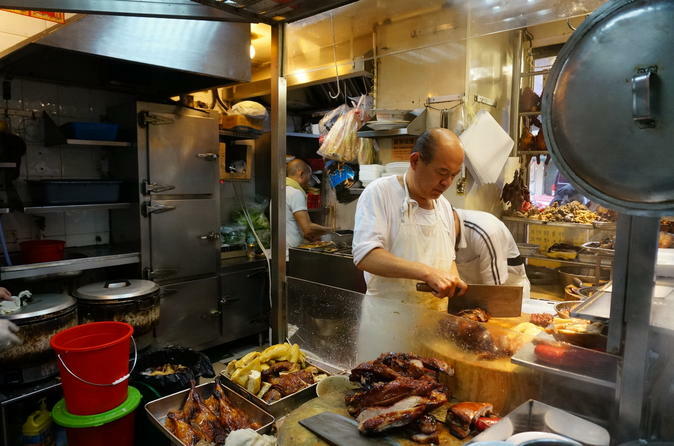 Become an expert in Cantonese cuisine on a Hong Kong food tour that explores Kowloon’s most authentic restaurants, markets and food stalls. Led by an expert guide, you’ll venture far from the tourist haunts to eat at local gems in Hong Kong’s working-class Jordan district. 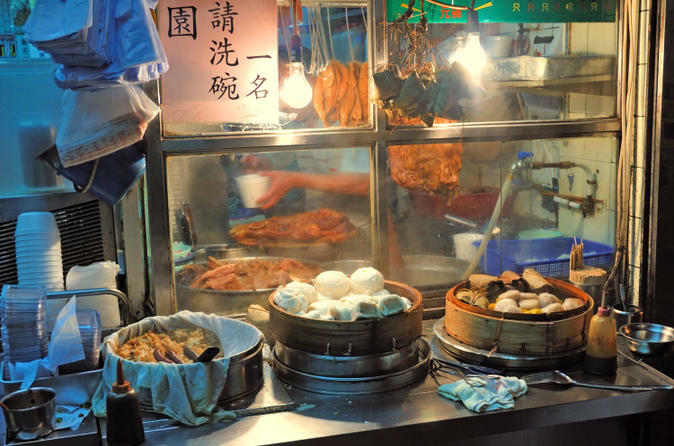 Learn about the history and traditions of Chinese food as you dig into delicious dishes while seated next to the locals in eateries where the surroundings are basic and the food sublime. The menu is up to you, so you can try as much or as little as you like. 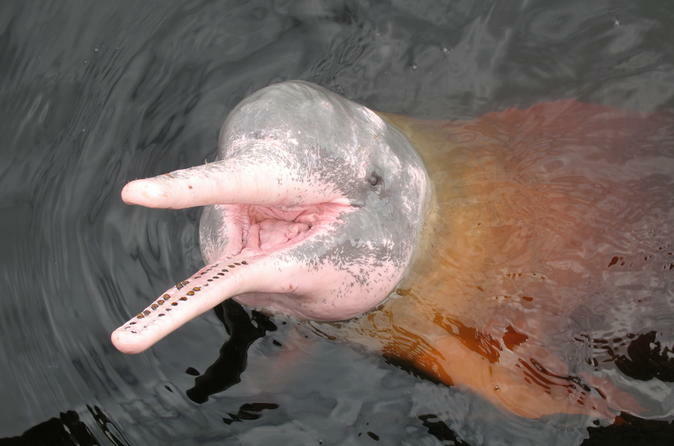 This small-group tour is limited to 12 participants, ensuring that you’ll have the guide’s full attention. This tour of Kowloon and the New Territories travels towards the Hong Kong / China border taking in the Wong Tai Sin Temple, the largest Taoist temple in Hong Kong, glimpses of China's Shenzhen special economic zone skyline as well as the well preserved, fortified village of Tsang Tai Uk, which stands today as it did in the early 1800's. If you are not a early bird person, or only have time in the afternoon, this sightseeing tour is suitable for you. 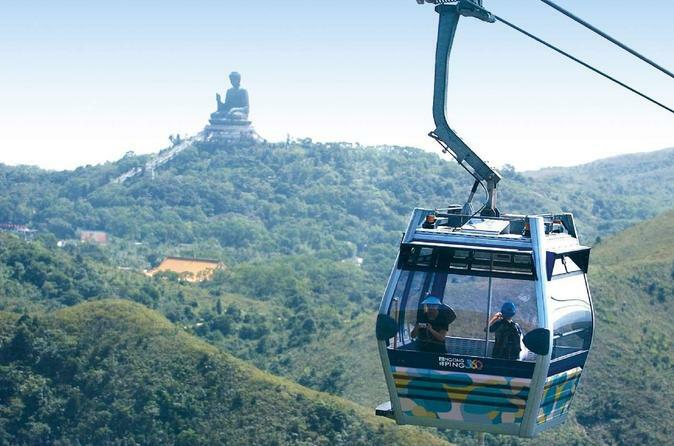 With the development of Ngong Ping Cable Car, the Island has become a new attraction in Hong Kong which is almost twice the size of Hong Kong Island. Come and join to visit one of the tallest outdoor seated Buddha Statue - TianTan Buddha and the Po Lin Monastery. Take amazing boat ride and explore Tai O, a quaint fishing village where the houses are on stilts. Pickup between 12:50pm to 1:10pm from your hotel lobby. The best way to experience a Hong Kong sunset is on the harbor with a few drinks before dinner. 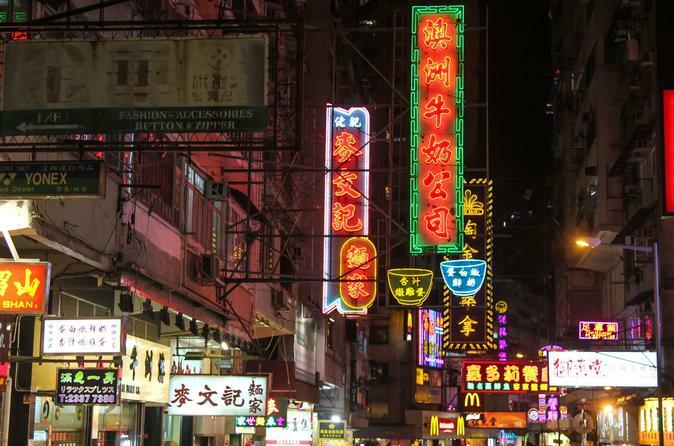 See Hong Kong after dark on a 3-hour walking tour, exploring different pockets of the city with an expert local guide. This night tour covers plenty of ground, from peaceful parks to glittering skylines. 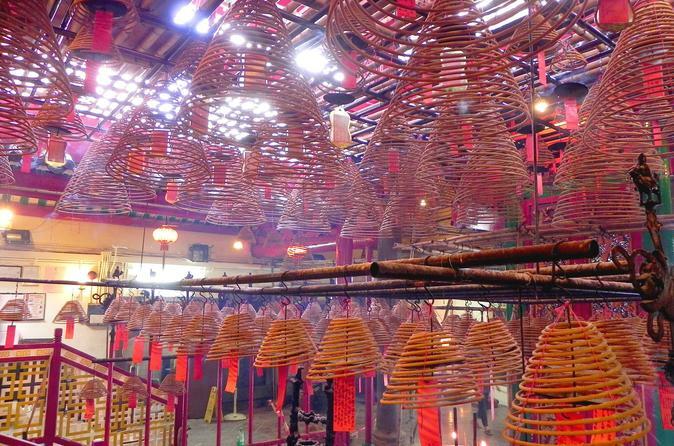 Visit the Temple Street Night Market and the Peninsula Hong Kong hotel and the fascinating Chungking Mansions. You’ll learn about Hong Kong’s growth from fishing village to cultural capital, and get a local’s perspective on life after the sun goes down. Numbers limited to 12 to ensure personalized attention on this small-group tour.